← Who is Kay Sayce? Who is Ann Batko? Stilman, Burt, Cutts, Howard: who are they? 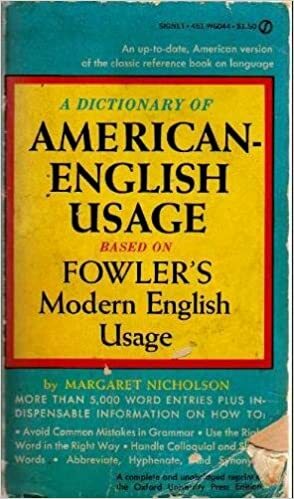 I’ve just finished going through the list of usage guide writers in HUGE, and there are several, in addition to Sayce and Batko, that I just haven’t been able to find any information on. The sources I tried are the Oxford Dictionary of National Biography, the American National Biography Online, Wikipedia and WorldCat, as well as the prefaces to their books, but no luck! Perhaps readers of the blog can help? If you know more about the authors below, please leave a comment. But … if you don’t know any of these authors, perhaps you know their books? Have you ever consulted any of them? Please let us know if you have. This entry was posted in usage guide and tagged Angela Burt, Anne Stilman, Barry Farrell, Godfrey Howard, John Bailie, Kenneth Wilson, Margaret Nicholson, Martin Cutts, Moyna Kitchin, Sarah Marriott. Bookmark the permalink. 11 Responses to Stilman, Burt, Cutts, Howard: who are they? I have a copy of the Martin Cutts book. It is a paperback published by Oxford University Press (ISBN 0-19-860049-6). Usual stuff. Nothing special. What you’d expect from a book on plain English. Thanks for this, Derek. So it’s a book about Plain English I noticed, which confirms what Tony said. Thanks! Martin Cutts is one of the main proponents of the ‘Plain English’ movement (launched, I believe, by Chrissie Maher of the Plain English Campaign in the 1960s). 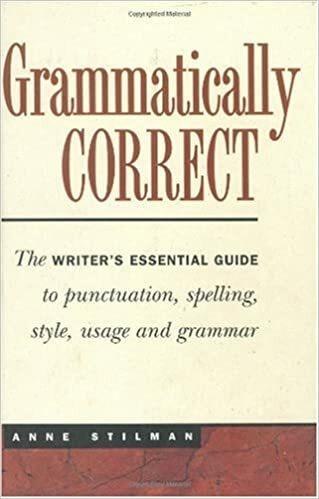 Martin Cutts was involved in the ‘Fight the Fog’ campaign for plain writing at the EU – although I wonder whether this has had a lasting impact… Lots of books have been produced on the subject of ‘plain English’, many of them targeting lawyers and government officials. Authors include Mark Adler, Harry Blamires and Michèle Asprey. Thanks, Tony: exactly the kind of thing I need. Kenneth G. Wilson was a professor of English at the University of Connecticut, where he held several administrative posts, including dean of the college of liberal arts and sciences and vice president for academic affairs. He had a strong interest in the English language. From a UConn website: Kenneth G. Wilson came to the University of Connecticut in 1952 as a Professor of English. He was employed in that capacity until 1967, serving as Department Head from 1966-1967. In 1967, he was made Dean of the College of Liberal Arts and Sciences and then promoted to the position of Vice President for Academic Programs in 1970. He became the Vice President for Academic Affairs in 1974, a position which replaced that of the Provost. Wilson served in that post until 1981. This is EXTREMELY helpful, Ed: thanks very much. It confirms that he was of an advanced age when he wrote the usage guide we included in our database. I checked LinkedIn for these names: it appears that Sarah Marriott might be the Director at Plain English Ireland; and there’s an Anne Stilman who was an author for Writer’s Digest Magazine (Writer’s Digest Books published her book, not much further info); Martin Cutts can also be found on LinkedIn. I never thought of trying this, Lyda: thanks for the suggestion! Dankjewel nogmaals, Lyda. Ik zag net in haar inleiding de woorden “my years as an editor” staan. Met Martin Cutts heb ik sindsdien gemaild. In OUP’s current catalogue, there is a 2013 edition of Martin Cutts’ truly excellent (IMHO) little book ‘Oxford Guide to Plain English’. http://ukcatalogue.oup.com/product/9780199669172.do This must be a revised edition of the 2004, 2nd edn. of the 1995 book that you mention. I have a copy only of the 2004 edn. Thank you, Jeremy, and: you’re welcome!